RAISIN the Alarm! Raisins and Grapes are TOXIC to Brittanys! Grapes and raisins have often been used as treats for dogs. But it’s not a good idea. 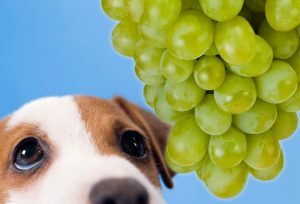 Although it isn’t clear why, grapes and raisins can cause kidney failure in dogs. 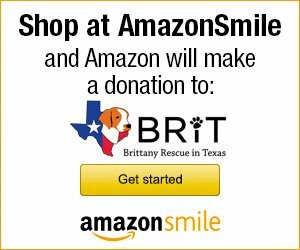 Just a small amount can make your Brittany very ill. Repeated vomiting is an early sign. Within a day, your Brittany will become lethargic and depressed. The best prevention is to keep grapes and raisins off counters and other places where your Brittany can reach. Grapes, raisins, and even currants (some currants are actually small, black grapes) are toxic to your dog! In fact, there have been anecdotal reports of cats and ferrets being affected by these also. Ingestion of even a small amount of grapes, raisins, or currants can result in severe, acute kidney failure. 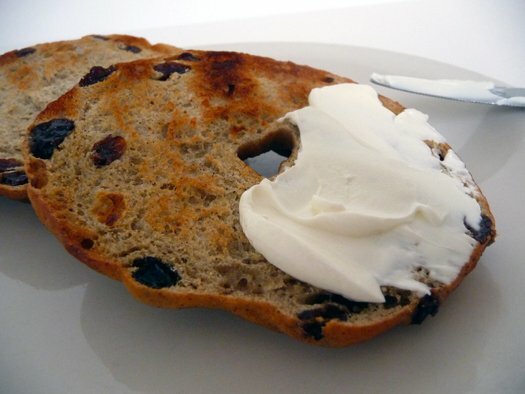 All types of grape- or raisin-containing products (including grape juice, trail mix, oatmeal cookies, bagels, etc.) can result in this. Even organic, pesticide-free, grapes grown in home gardens can result in toxicity. Although the mechanism of action is not clearly understood on how grapes, raisins and currants are poisonous at this time, this common fruit can result in anorexia, vomiting, diarrhea, and potentially severe acute renal failure (which develops several days later). The toxicity is not necessarily dose-dependent, and symptoms can occur with even small ingestions. Decontamination (e.g., inducing vomiting, decontaminating with activated charcoal, etc. 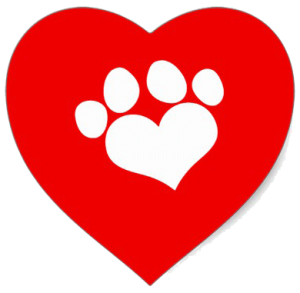 ), aggressive supportive care, aggressive IV fluid therapy, and kidney function (e.g., BUN/creatinine) monitoring is recommended.